Here, he explains why the CQI’s work with coffee quality is increasingly relevant today, and what “Q Processing” means. Coffee processing innovations have changed rapidly in recent years, and many “myths” are being broken. Advances in washed, naturals, honey, and other methods have contributed to a diversity of products and an opportunity for the producer to differentiate their coffee quality. In fact, processing has the single most impact on quality differentiation and many origins have been experimenting commercially with these methods and applying science. Experience the coffee industry’s leading networking and educational event – the National Coffee Association’s 2018 Annual Convention will be held in New Orleans, March 15-17, 2018. The following is a guest post submitted to The First Pull. See our guest post guidelines. During a recent weekly visit to coffee farms, as part of our support and monitoring program to coffee farms in Honduras, we came across small farm. Mr. Robinson Jimenez welcomed us into his home. He has been have been growing coffee for quite some time now, and until recently, he has been doing it without any technical training or information that you would find in a classroom. A lot of coffee growers in Honduras grow coffee as how their father and grandfather did before them. However, this practice is changing. Climate change, economic factors, deforestation and other factors all play a role. I have been in the coffee industry for 21 years now. I feel I am pretty well versed in most things ‘coffee.’ That was until I went to the National Coffee Association Convention. The attendees are made up of multi-generational coffee companies that have survived and thrived for 50, 60 – even over 100 years. I knew I had a lot to learn at this event. 74% of coffee consumed in the U.S. is consumed at home, according to the 2015 NCA National Coffee Drinking Trends report. 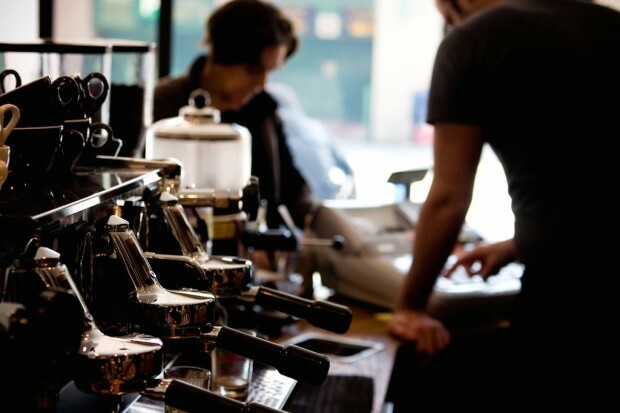 But changing consumer behavior may create new opportunities in the foodservice coffee market. Out-of-home coffee consumption skews younger: 26% of coffee drinkers aged 18-24 say that they drink their coffee exclusively out of home. Coffee sales in foodservice establishments should increase steadily through 2018, according to reported in Packaged Facts’ Foodservice Coffee Market Trends in the U.S. (December 2015). The market will be driven by incremental growth in foodservice establishment visits, breakfast build outs, premium coffee preferences – in addition to other critical factors. What Does Leadership Mean For the Coffee Industry? Coffee – a beverage with a history of hundreds of years – is in the midst of a period of unprecedented change. That change has unlocked deeper value and choice for business and consumers,even as it presents unprecedented challenges that continually shape the headlines: Climate change. La roya. Sustainability. GMO legislation. Gender inequality. Volatile prices. All businesses struggle to identify and train leaders. But for the coffee sector, leaders deal with a complex array of variables, threats and opportunities – making leadership essential for the industry’s future. At the NCA Convention, we talk a lot about professional leaders and industry leadership. But what exactly does leadership mean today? People who drink about 3 – 5 cups of coffee daily may be less likely to die prematurely, according to a new study. Drinkers of both caffeinated and decaffeinated coffee saw benefits that include a lower risk of death from cardiovascular disease, neurological diseases, type 2 diabetes, and suicide. Animation by the Harvard T.H. Chan School of Public Health.